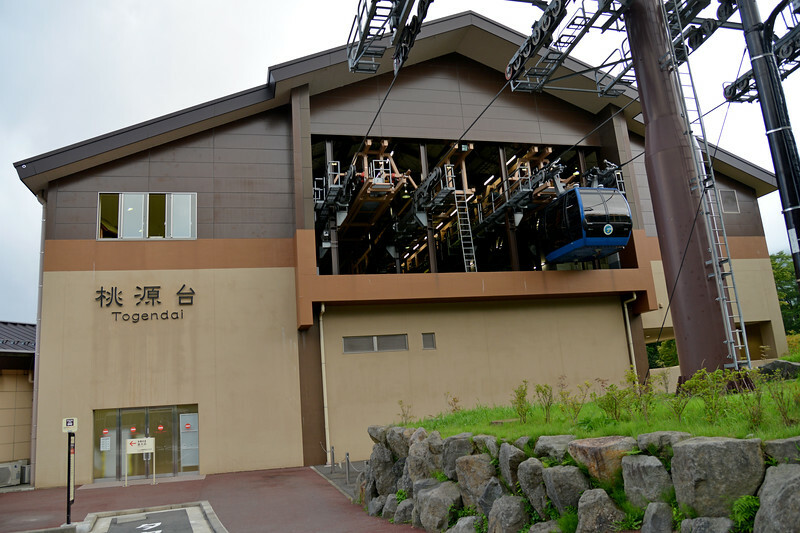 The Hakone Tozan Cable Car (箱根登山ケーブルカー), officially the Cable Line (鋼索線) is a funicular railway, in the town of Hakone, Kanagawa Prefecture, Japan. 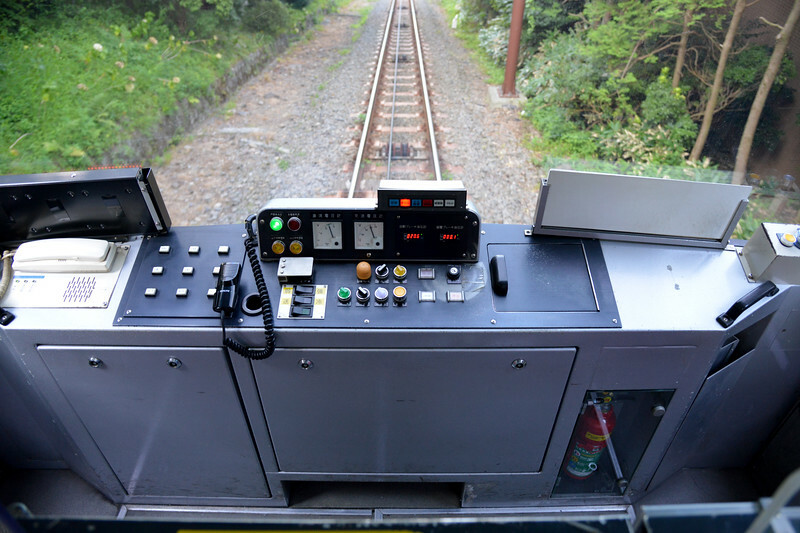 It is operated by Hakone Tozan Railway. 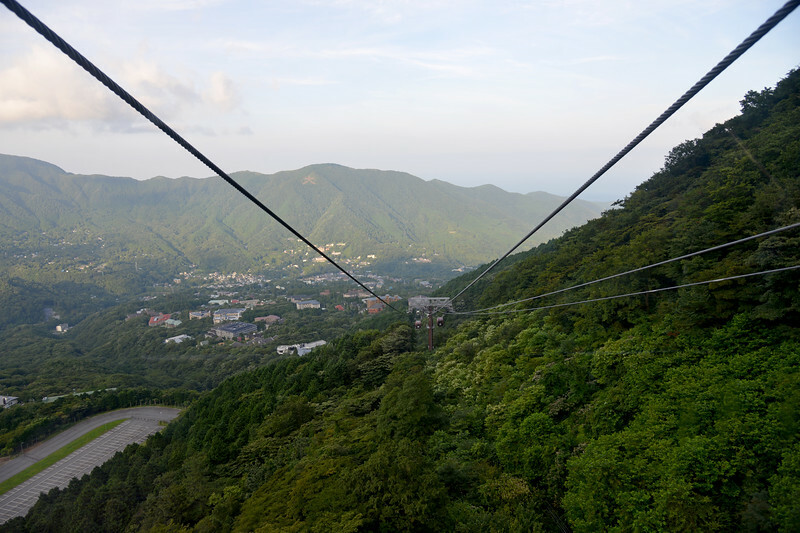 The funicular links Gōra, the upper terminus of the railway line, with Sōunzan 214 metres (702 ft) above. 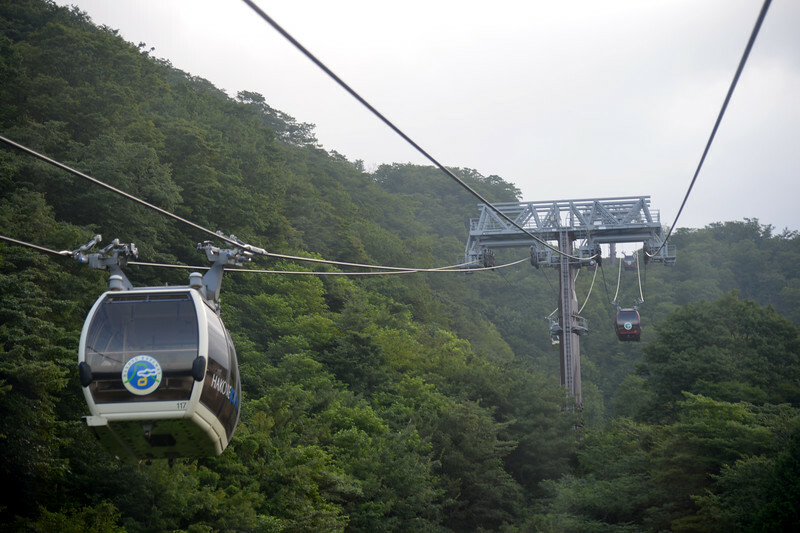 At Sōunzan, connection is made with the Hakone Ropeway, which runs to Tōgendai on Lake Ashi. 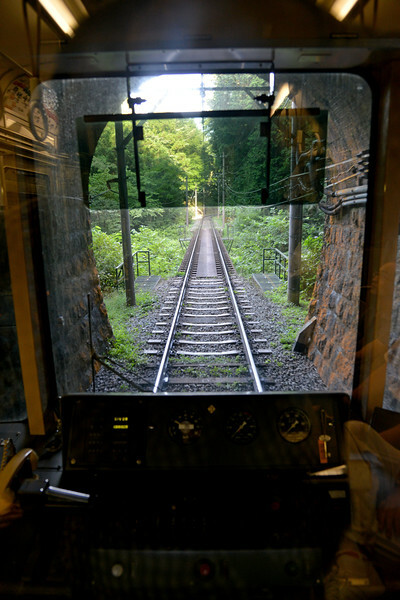 The line was opened in 1922, and was rebuilt in 1995 and new cars replaced the old cars at the same time. 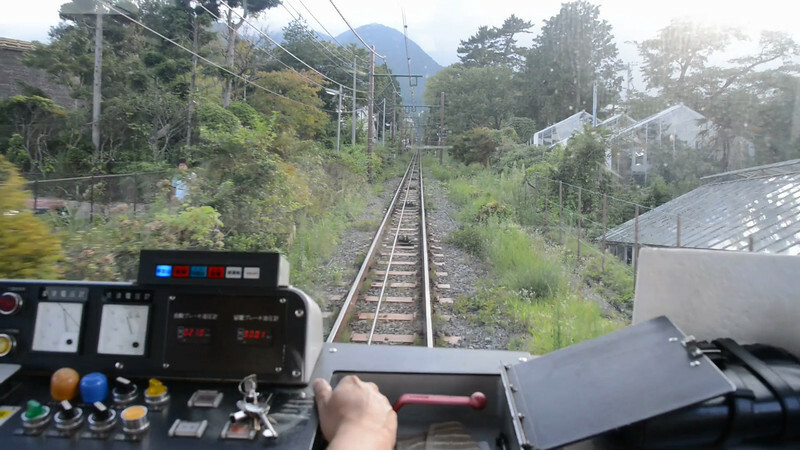 Hakone (箱根町) is a town in Ashigarashimo District in Kanagawa Prefecture, Japan. 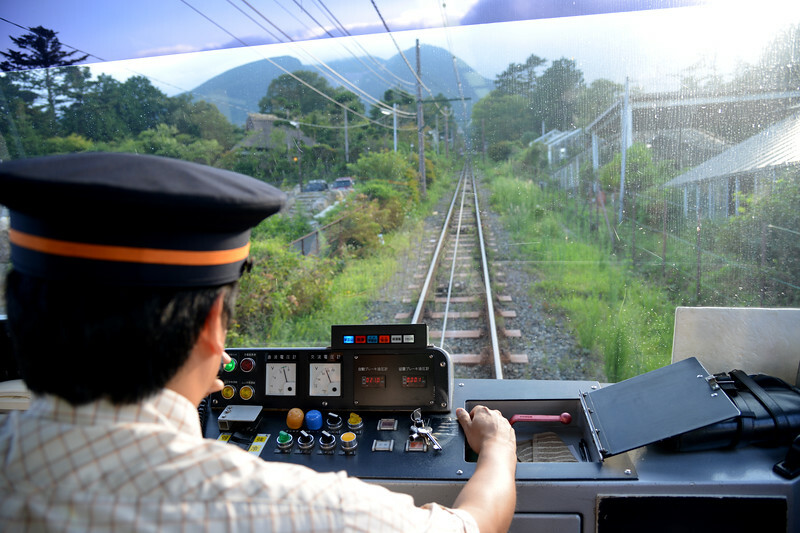 Hakone is located in the mountainous far west of the prefecture, on the eastern side of Hakone Pass. 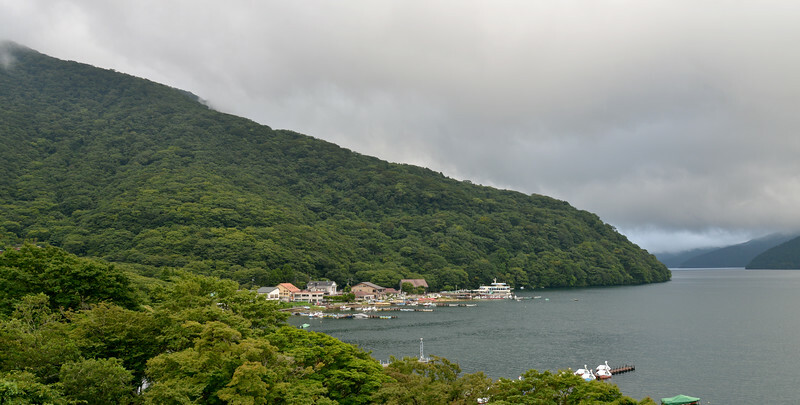 Most of the town is within the borders of the volcanically active Fuji-Hakone-Izu National Park, centered around Lake Ashi. 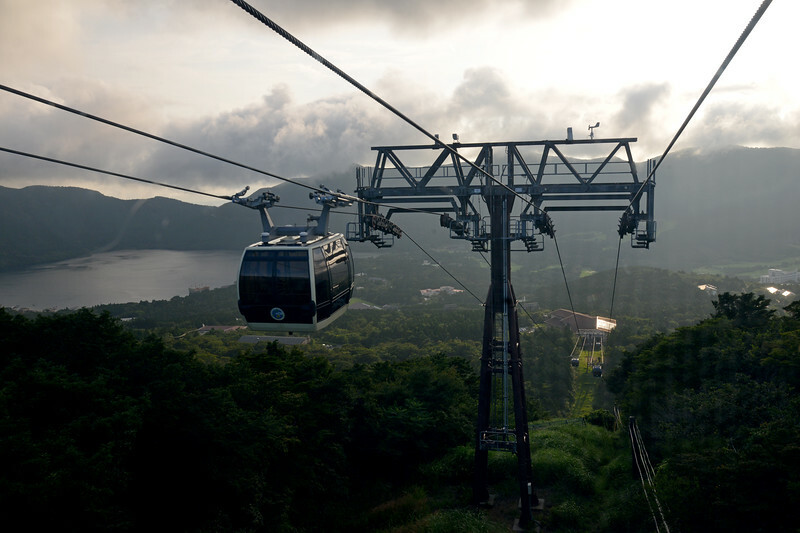 Hakone is the location of a noted Shinto shrine, the Hakone Gongen, which is mentioned in Heian period literature. 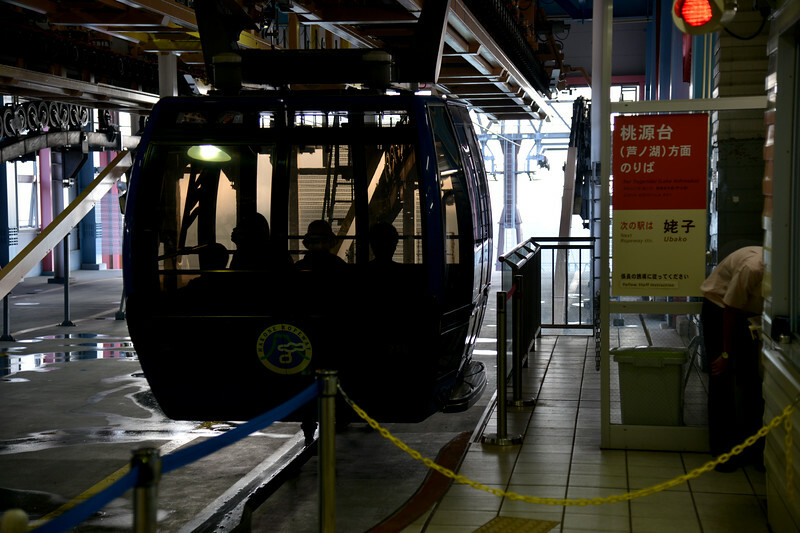 Hakone is noted for its onsen hot spring resorts, which attract both Japanese and international visitors due to its proximity to the greater Tokyo metropolis and to Mount Fuji. 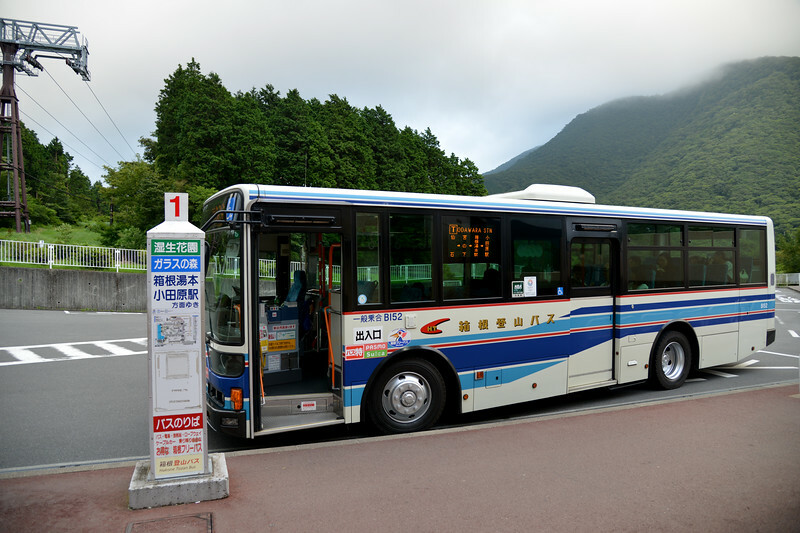 Hakone is a very popular tourist destination and best accessed from Odawara. 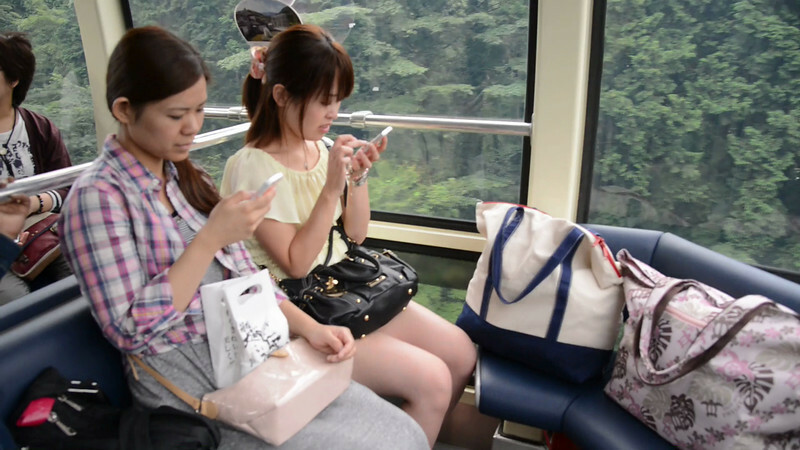 Friendly visitors at the train station. 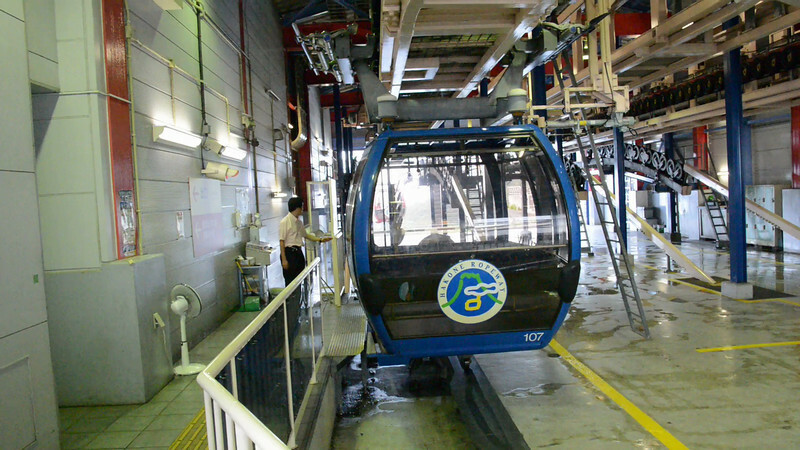 The Hakone Ropeway (箱根ロープウェイ) is the aerial lift. 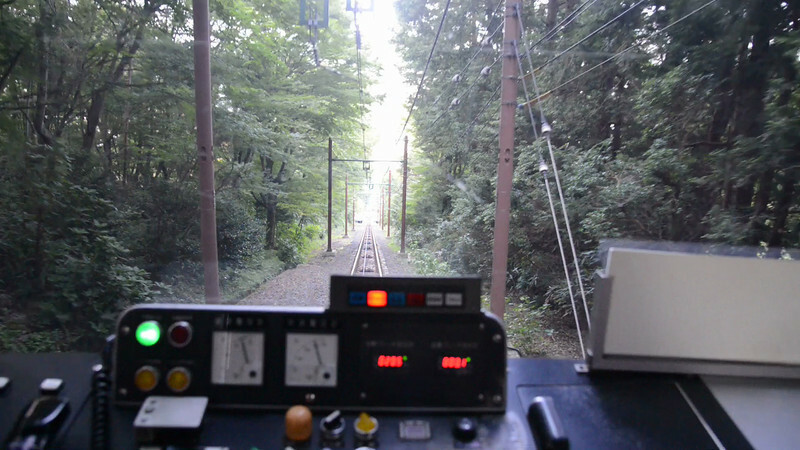 The funitel line links between Sōunzan and Tōgendai via Ōwakudani, all within Hakone, Kanagawa, Japan. 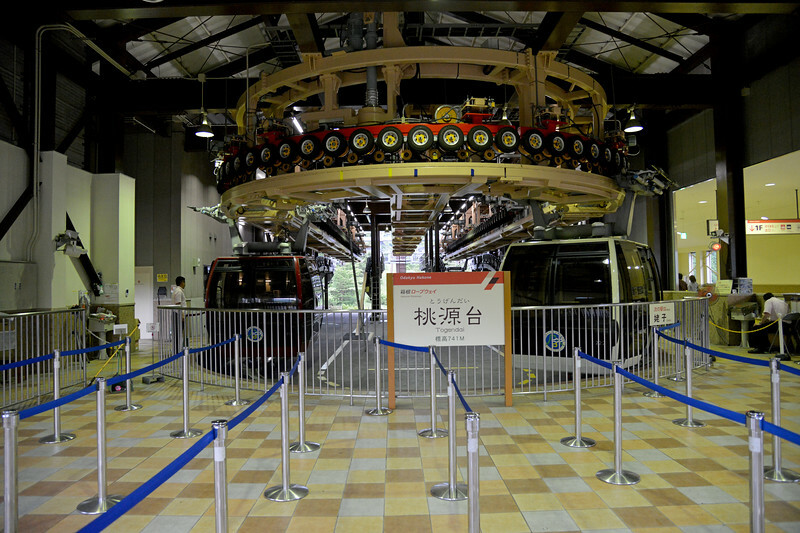 The line became funitel in 2002, the second of its kind in the nation, after Hashikurasan Ropeway. 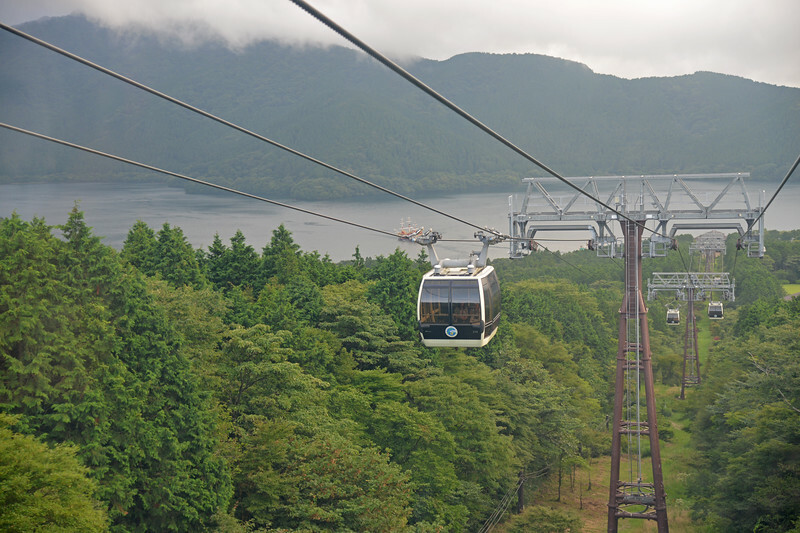 It makes a part of the sightseeing route between Odawara and Lake Ashi. 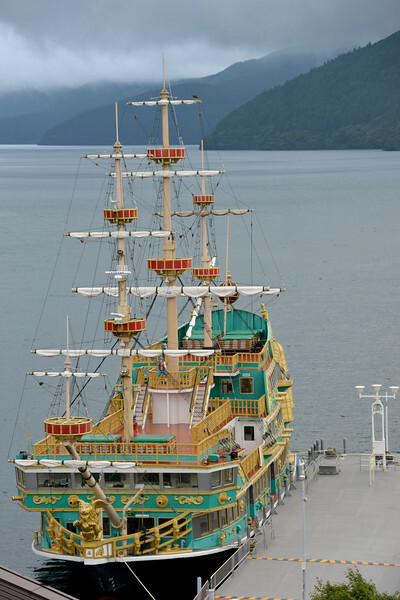 Lake Ashi. 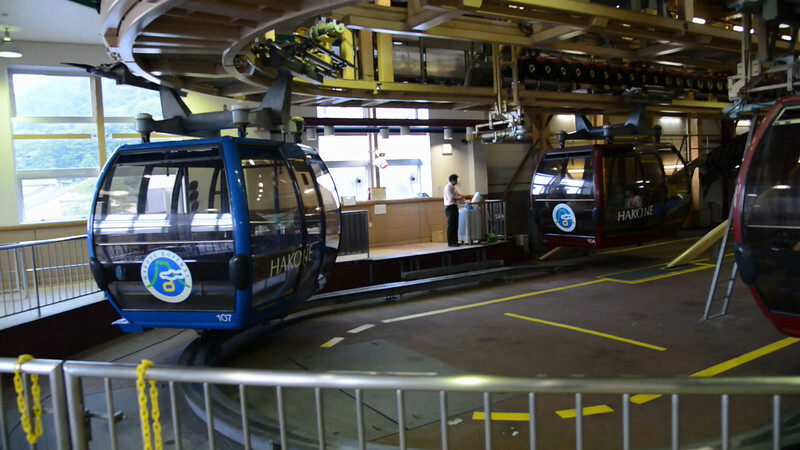 Hakone (箱根町) is a town in Ashigarashimo District in Kanagawa Prefecture, Japan. 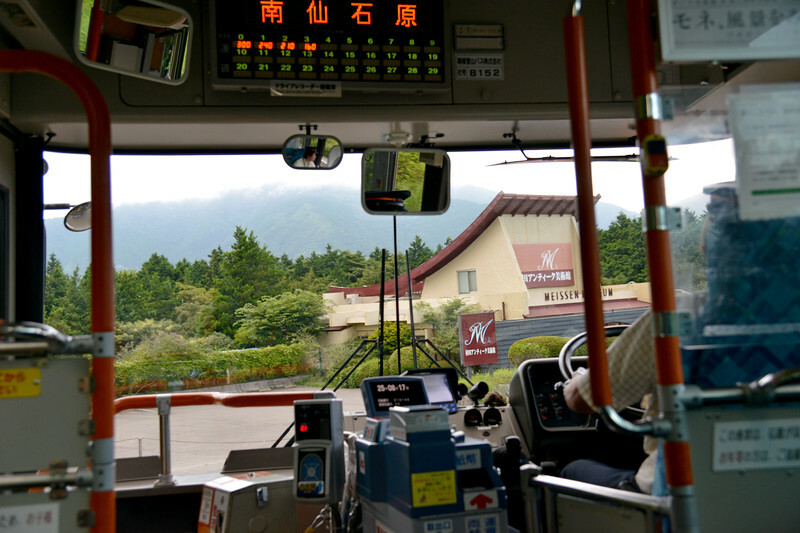 Hakone is located in the mountainous far west of the prefecture, on the eastern side of Hakone Pass. 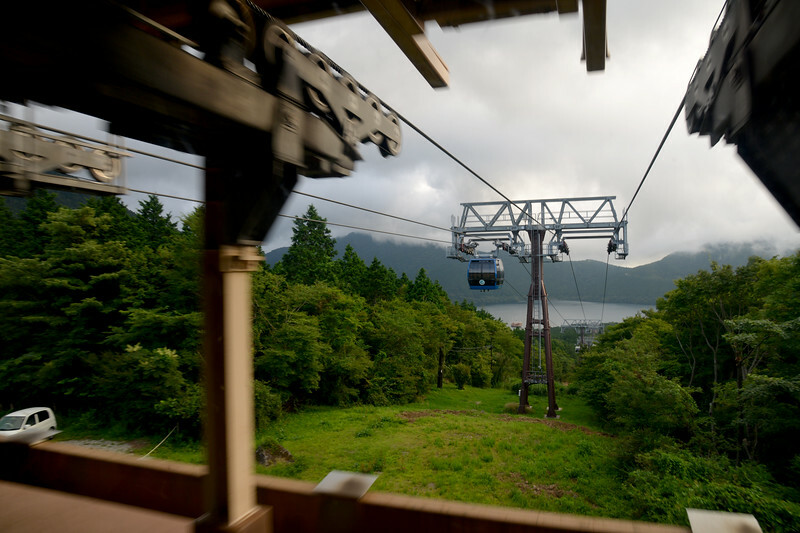 Most of the town is within the borders of the volcanically active Fuji-Hakone-Izu National Park, centered around Lake Ashi. 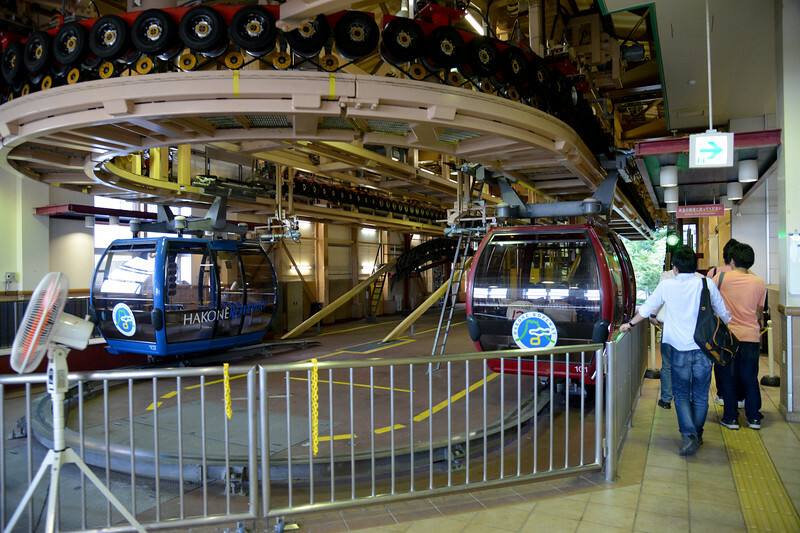 Hakone is the location of a noted Shinto shrine, the Hakone Gongen, which is mentioned in Heian period literature. 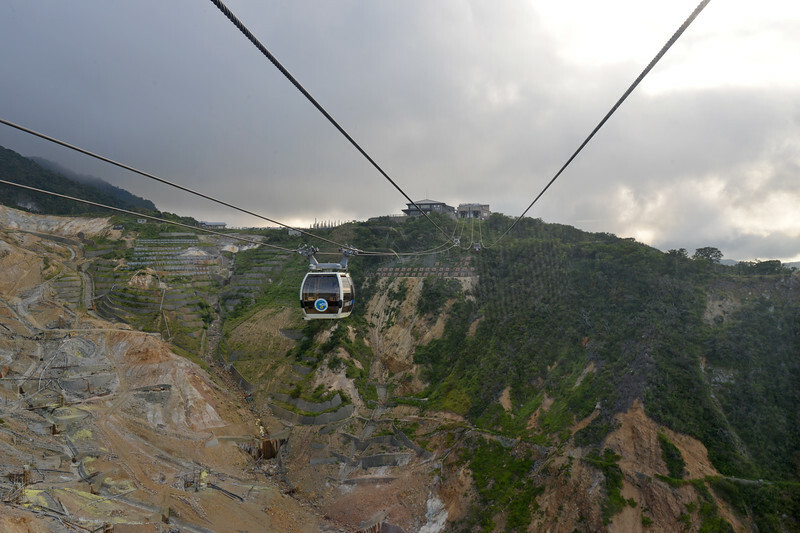 Hakone is noted for its onsen hot spring resorts, which attract both Japanese and international visitors due to its proximity to the greater Tokyo metropolis and to Mount Fuji. 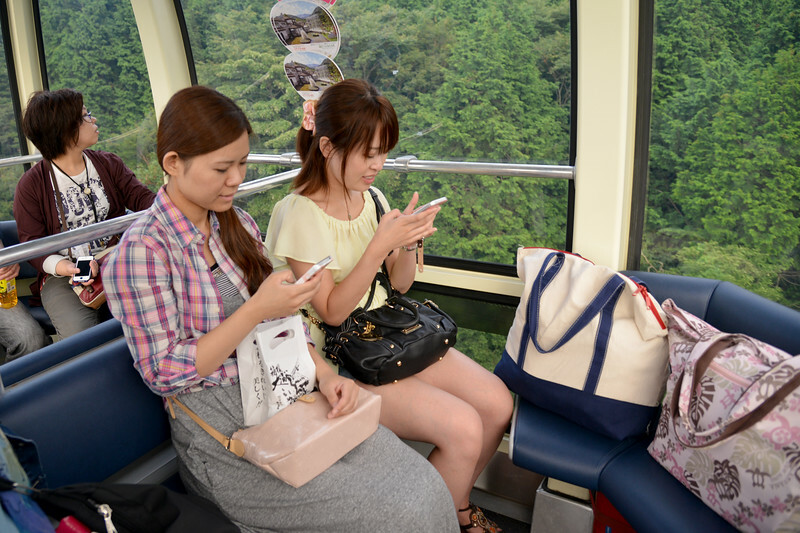 Hakone is a very popular tourist destination and best accessed from Odawara. 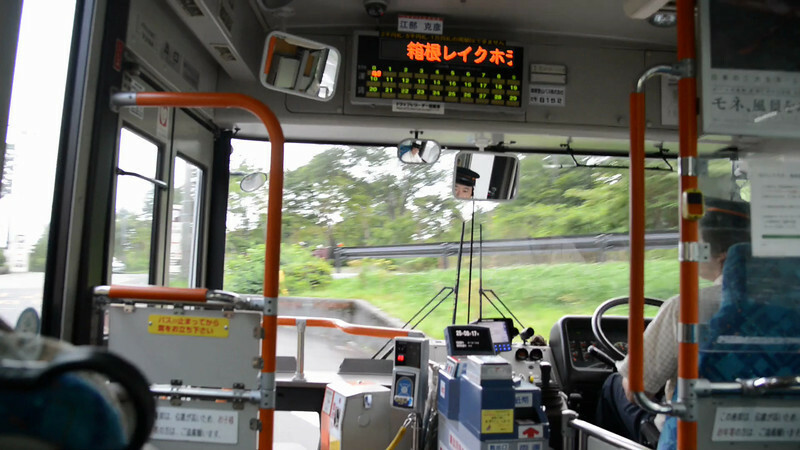 The bus ride back from Hakone Ropeway station at Hakone, Kanagawa, Japan to Odawara from Lake Ashi.